"What if this thing was magic?" Designing for the internet of things means blessing everyday objects, places, even people with extraordinary abilities—requiring designers, too, to break with the ordinary. Designing for this new medium is less a challenge of technology than imagination. Sharing a rich trove of examples, designer and author Josh Clark explores the new experiences that are possible when ANYTHING can be an interface. The digital manipulation of physical objects (and vice versa) effectively turns all of us into wizards. Sling content between devices, bring objects to life from a distance, weave "spells" by combining speech and gesture. 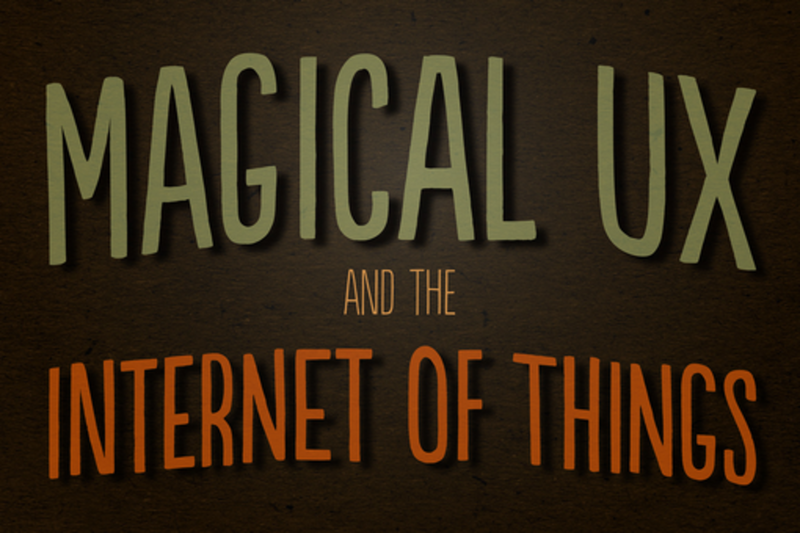 But magic doesn't have to be otherworldly; the UX of connected devices should build on the natural physical interactions we have everyday with the world around us. The new UX must bend technology to the way we live our lives, not the reverse. Explore the values and design principles that amplify our humanity, not just our superpowers. Josh Clark is a designer specializing in multi-device design, strategy, and user experience. His agency Global Moxie offers design services, strategic consulting, and training to help creative organizations create connected products, tapworthy apps and effective websites. His clients include AOL, Time Inc, Alibaba, Taobao, eBay, O'Reilly, and many others.